KEN YUSZKUS/Staff photo. 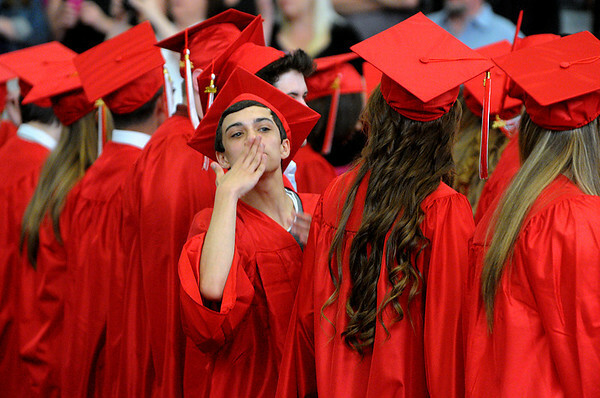 Robbie Stokes throws kisses toward the audience as he arrived at his seat during the processional at the Salem High School graduation. 6/6/14.